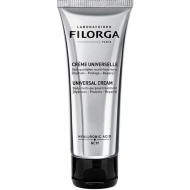 Smoothes intensely, while toning and firmens the skin. 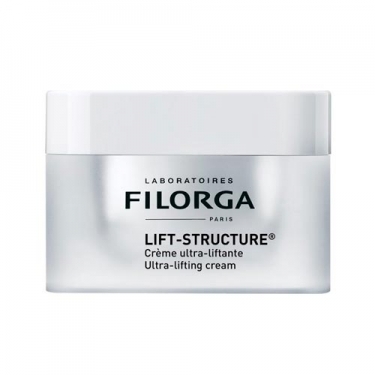 DESCRIPTION: Lift-Structure Crème Ultra-Liftant from Filorga is a day cream, which helps to firmly reaffirm while fighting the main signs of aging skin. 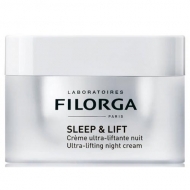 Contains exclusive complex Plasmatic Lifting (collagen, hyaluronic acid and cell factors) and saffron for a moisturizing, firming, redensifying, anti-wrinkle and softening action. The skin becomes softer, smoother, firmer, fuller, and with more defined contours. Combat the damage caused by daily external aggressions. 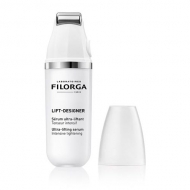 Smoothes intensely, while toning and firmens the skin. Apply at night, on the skin of the face, perfectly clean and dry, with a gentle massage.